was then wilderness on their jounrey to the Ohio River. cheese factories, such as Sackett & Coe, were established throughout the Town. a fulling and cloth dressing mill. southwest corner of the Town, was completed in 1850s. were at Gowanda and Springville. shop, a shoe shop, a wagon shop and a cheese factory. 2 saw mills (1st - 1831), a post office (1892) and an ashery (1834). 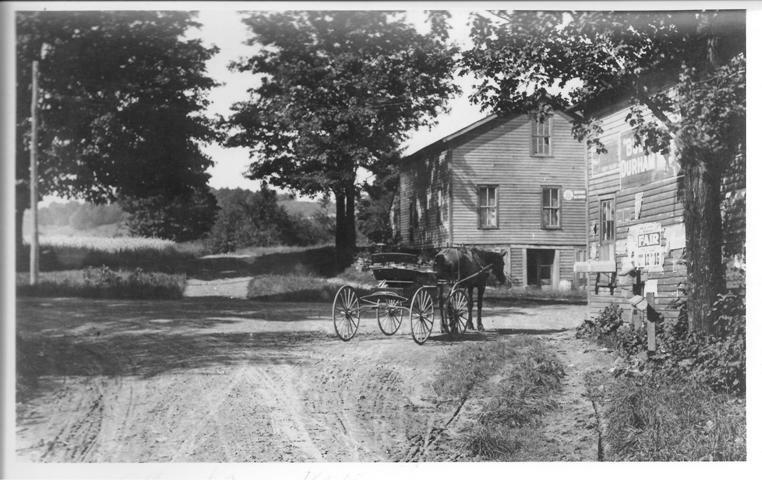 Below is a photo of Union Corners (Maples) in about 1910.